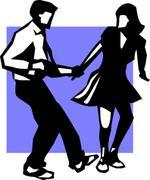 Ithaca Swing, West Coast Swing and Lindy Hop Dance Class / Classes. Latin Dance Class / Classes Ithaca. Hot Hip Hop Action in Ithaca . Dance News, Rochester, New York: Got dance news? Then send in to Dance News, Rochester, New York [ here ]. RMC/Editor. The Ithaca Dance Directory . Dance Spots Ithaca New York.